Thermopylae Sciences + Technology is a proud sponsor of the TD Fitness Team as they prepare for the S.O.M.E. 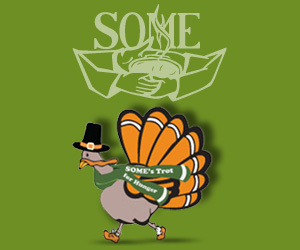 Turkey Trot for Hunger on Thanksgiving Day Thursday November 28th. SOME (So Others Might Eat) is an interfaith community-based organization that exists to help the poor and homeless of our nations capital. TD Fitness promotes health awareness, provides personalized fitness training, and helps others through charity and community campaigns.